A charming village in the province of Rieti, on the border with the Abruzzo region, on a hill with a difficult access, located South of Lake Turano. 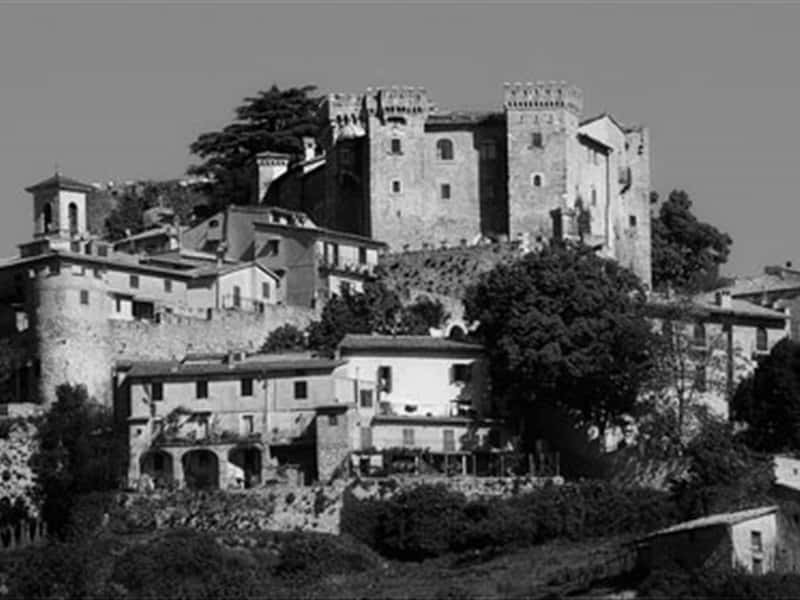 The first certain origins of Collalto Sabino go back to X century, when the neighboring populations, to escape from the repeated Saracen raids, decided to find a shelter between the mountains, building the center around a watchtower, which later became a castle. Based probably on the ruins of an ancient Sabine settlement, "Collis Altus" , over the centuries, it was contended by several Lords, for its strategic position between the Kingdom of Naples and the Papal State. In 1641 Nicola Soderini, overwhelmed by debts, ceded the lands to Cardinal Barberini, nephew of the reigning Pope Urban VIII, who commissioned improvements to the baronial castle and the palace and ruled the fief until the abolition of feudalism. - Palazzo Latini (XVII century). This town web page has been visited 20,801 times.